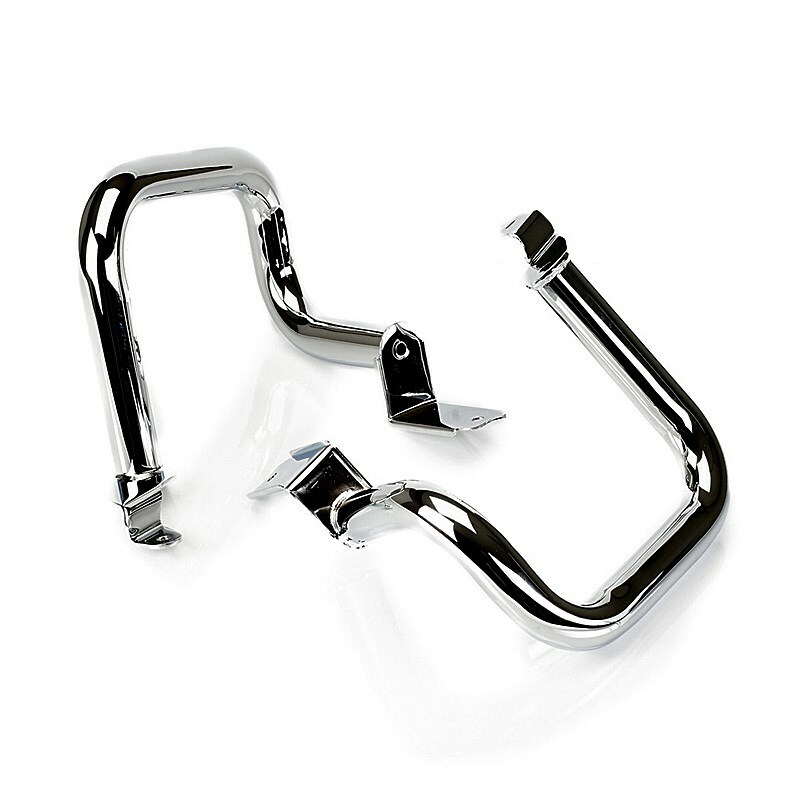 Complete your custom rear end with these Chrome Rear Engine Dresser Bars. Combined with the Chrome Front Dresser Bars for the real Rocket III two-up tourer look. Designed to complement the Rocket III Leather Panniers, the Chrome Rear Engine Dresser Bars are subject to the same harsh testing conditions as the original parts of the bike.